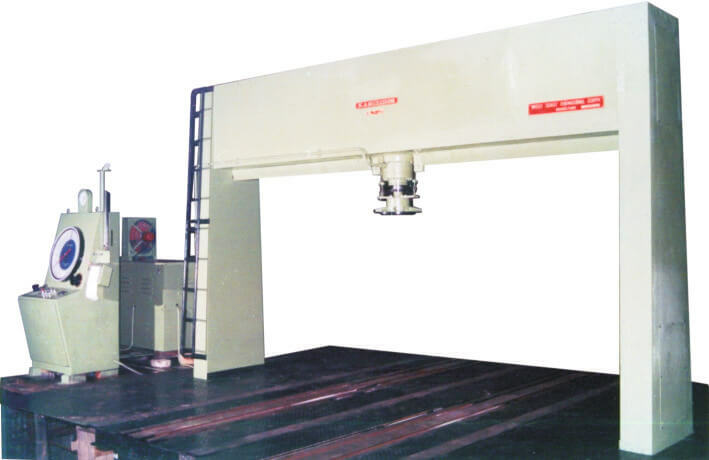 Karisohn Bogie Load Testing Machines are Custom Built for Load Testing of Railway Bogies. The Bogie Rolls into the Machine Integral with Board Gauge Rails and Undergoes an Operation of Repetitive Loading and Unloading as per Test Program. The Load vs Deflection Characteristics are Graphically Recorded and Checked for Allowable Deflection Patterns. Testing of Railway Bogie Chassis after Fabrication and Assembly Before Fixing of Coach Cabins. Similar Gantry Presses can be Supplied with Rails and Trolleys for other Applications Like Plate Straightening, Header Straightening, Pressure parts Straightening & Bending, Large fabriactions & More.